Just in time for Easter. Oops, too late. Maybe next Easter. Crochet iced sugar cookies. Large beautifully iced 4” egg shaped cookies. 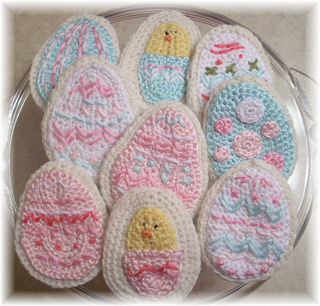 Great for Easter displays, and for the Easter Bunny, or just because they’re cute.